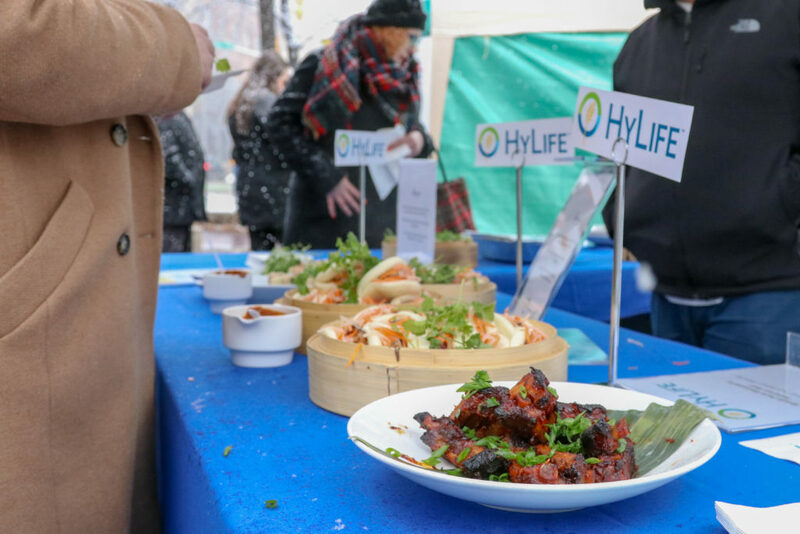 HyLife had fun in the snow at the Taste of Trade on Friday, November 2nd, at the Old Market Square in downtown Winnipeg. 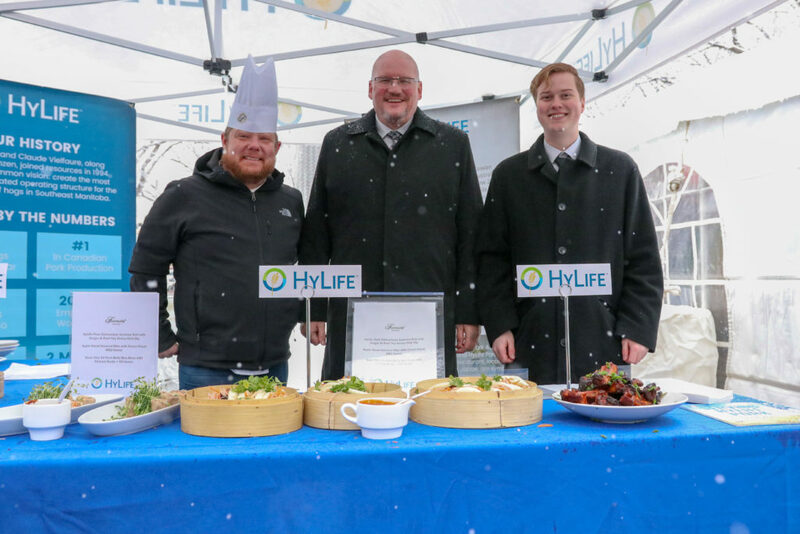 The Honourable Jim Carr, Minister of International Trade Diversification, was in Winnipeg to meet with food growers and producers in Manitoba to promote the benefits of trade. 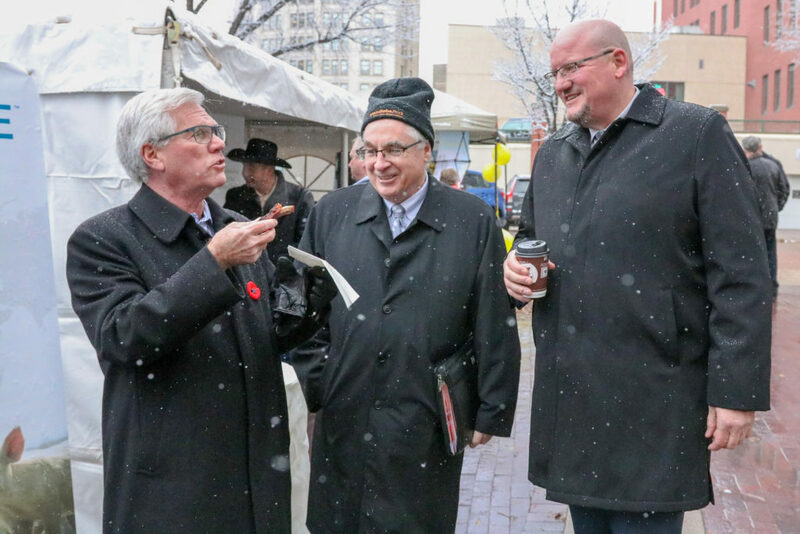 Minister Carr’s trip consisted mostly of morning and afternoon meetings with a quick break in between for lunch and to interact with the community at Market Square in the Exchange District. 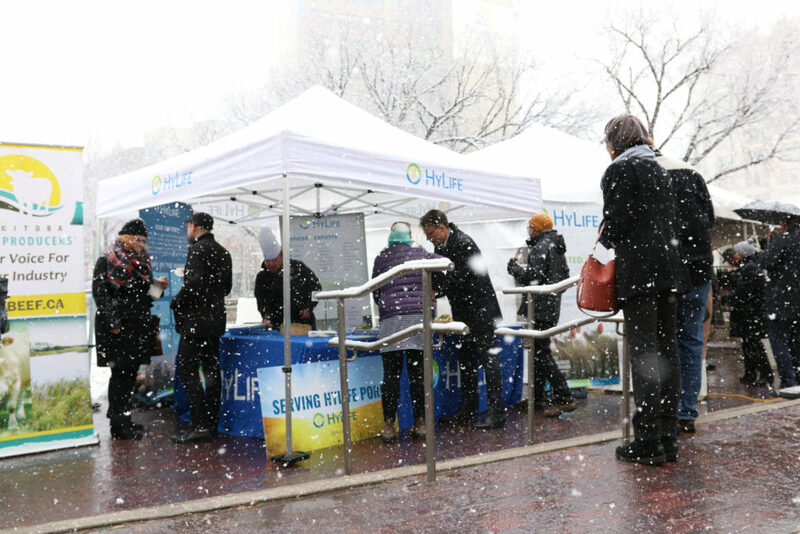 HyLife was of one of four vendors serving food. 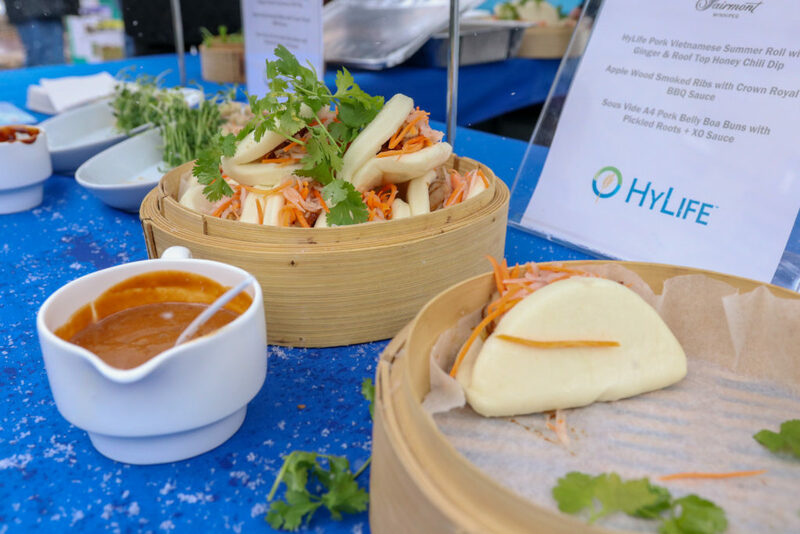 On the menu: HyLife Pork Vietnamese Summer Rolls with Ginger & Roof Top Honey Chili Dip, Apple Wood Smoked Ribs with Crown Royal BBQ Sauce and a regular item from The Velvet Glove’s menu, Sous Vide A4 Pork Belly Boa Buns with Pickled Roots and XO Sauce. 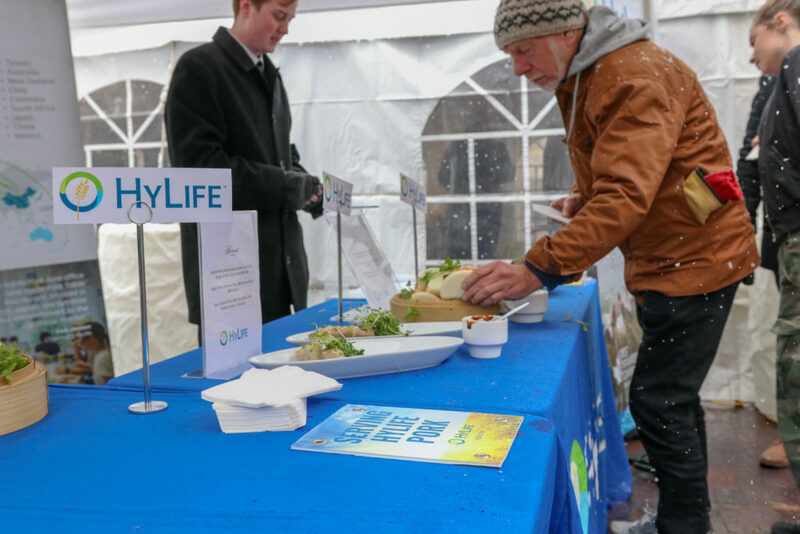 The Manitoba Beef Producers were serving beef on a bun with coleslaw, Cereals Canada served cookies, and Canolainfo.org had specially baked cupcakes. 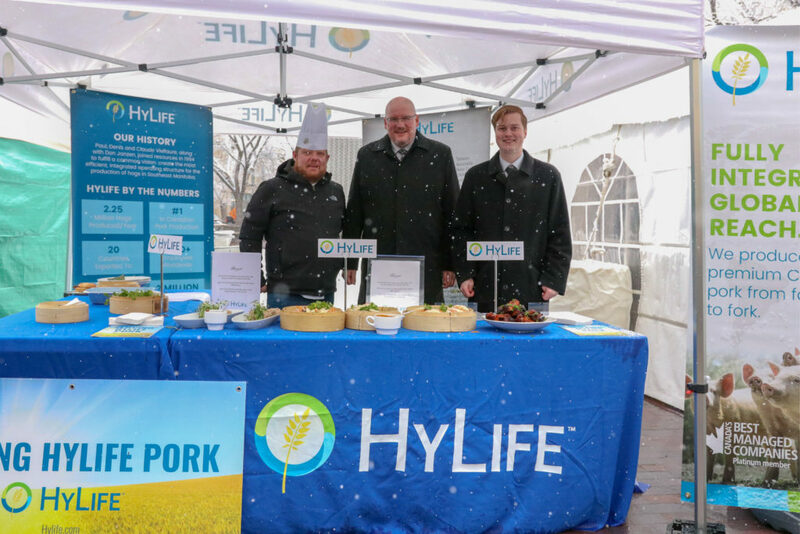 After a quick rendezvous at Market Square, Minister Carr hosted a roundtable discussion to talk about the benefits to food producers and exporters provided by the new trade agreement between Canada, the United States and Mexico (USMCA), the Comprehensive and Progressive Agreement for Trans-Pacific Partnership (CPTPP) and the Canada-European Union Comprehensive Economic and Trade Agreement (CETA). 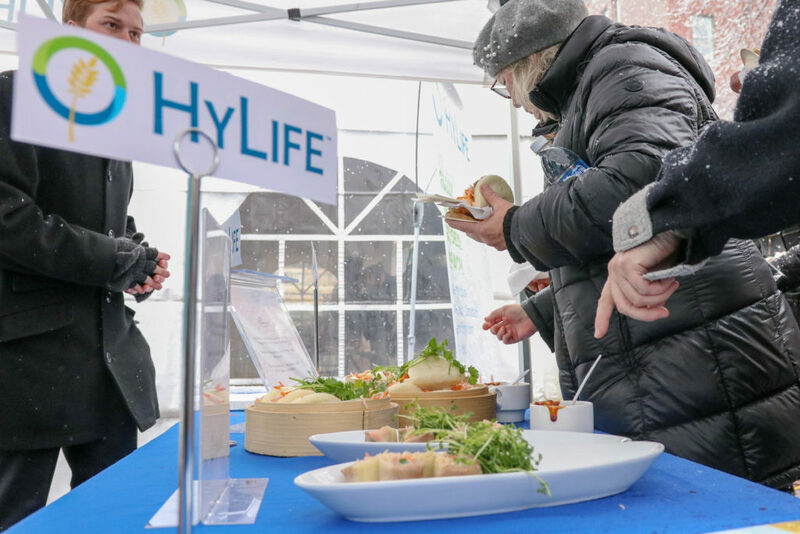 Both HyLife President Claude Vielfaure and HyLife’s Director of Immigration Baerbel Langner attended the discussions on behalf of the company. Manitoba’s merchandise exports to the European Union averaged an annual value of $627 million from 2015 to 2017. Manitoba’s merchandise exports to CPTPP countries averaged an annual value of nearly $1.5 billion from 2015 to 2017. 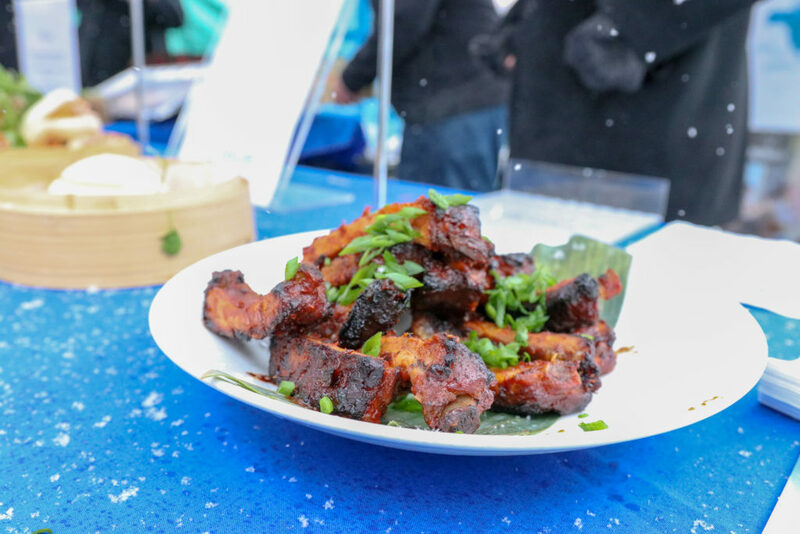 Manitoba’s exports to the United States averaged an annual value of $9.2 billion from 2015 to 2017.